WHAT’S FOR LUNCH AT THE SOUP KITCHEN? 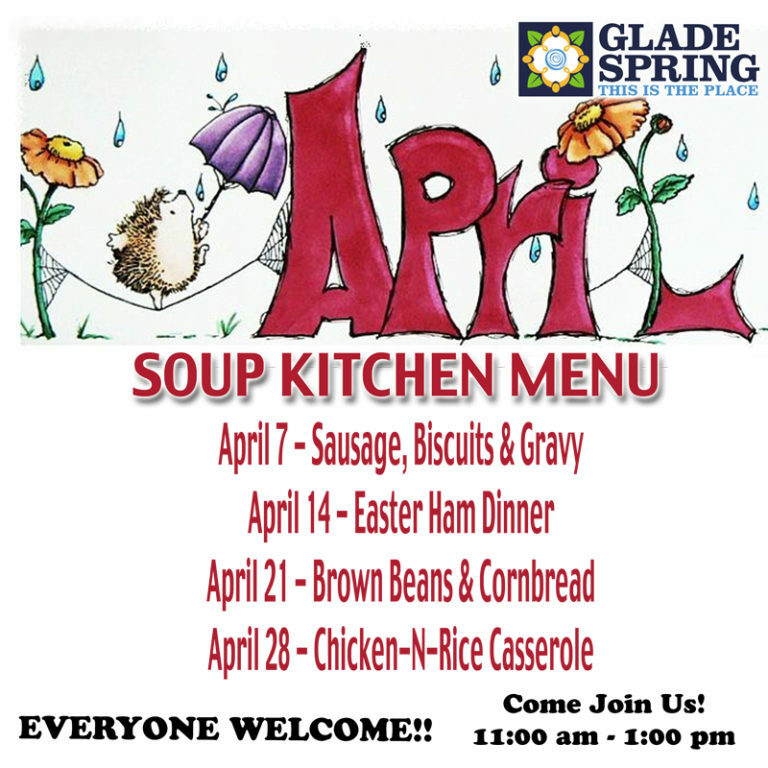 Southern Manna Soup Kitchen inside Glade Spring’s Senior Center has planned some hearty, home-cooked lunches for the month of April. Join us on Fridays from 11:00 am – 1:00 pm for a great time with neighbors and friends and some great pickin’-n-grinnin’! For more information, contact Debbie Bise at 429-2139.